Boston Handmade: Boston Handmade Represents at the New England Flower Show THIS WEEKEND In Boston! Boston Handmade Represents at the New England Flower Show THIS WEEKEND In Boston! The New England Flower Show, the 3rd largest in America, opens TOMORROW, Saturday March 8th and continues for nine days through Sunday March 16th. The theme this year is Rhapsody in Green. 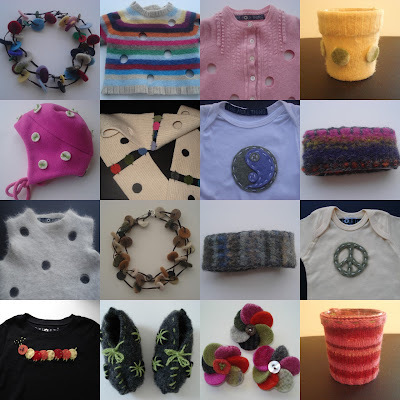 Boston Handmade member, Louise Cady-Fernandes, of THE HOLE THING, will have her whimsical felted wool sweaters and accessories available for sale at the Mass Horticultural Society's booth. The show takes place at the Boston Expo Center. Adult ticket prices are $20. Come take a breath of spring !